A wilderness excursion can seem daunting, but for outdoor enthusiasts this only adds to the appeal. 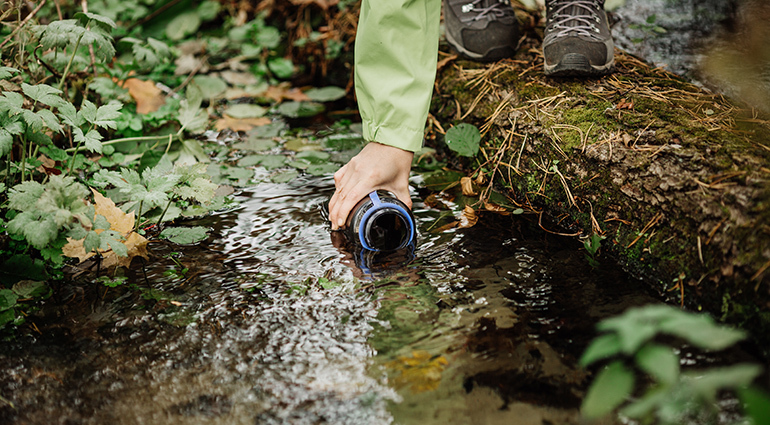 Because hikers need more water than they can carry, they purchase bottles with built-in filters so they can use water sources along the way. But the process of drinking from such a container is counterintuitive. Tipping the bottle does nothing. A thirsty hiker has to blow into it to force the water through the filter. Reality is contrary to what seems natural. As we follow Jesus, we find much that is counterintuitive. Paul pointed out one example: Keeping rules won’t draw us closer to God. He asked, “Why, as though you still belonged to the world, do you submit to its rules: ‘Do not handle! Do not taste! Do not touch!’? These rules . . . are based on merely human commands and teachings” (Col. 2:20-22). So what are we to do? Paul gave the answer. “Since, then, you have been raised with Christ, set your hearts on things above” (3:1). “You died,” he told people who were still very much alive, “and your life is now hidden with Christ in God” (v. 3). We are to consider ourselves “dead” to the values of this world and alive to Christ. We now aspire to a way of life demonstrated by the One who said, “Whoever wants to become great among you must be your servant” (Matt. 20:26).